1.Wash and trim the artichokes but leave the tender inner leaves intact so that the artichokes are like cups that can be filled. Trim the stems so that they can sit upright in the pot. 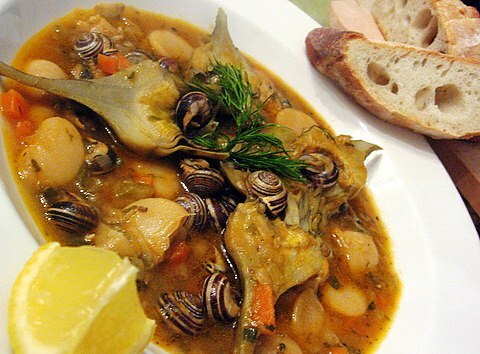 Immediately rub the artichokes with lemon and drop into the bowl of acidulated water. 2. Heat 1⁄3 cup of the olive oil in a large skillet and cook the onions over medium heat until soft, about 8 minutes. Add the garlic and stir. Add the rice and stir. Season with salt and pepper and pour in the water. Cover and simmer the rice over very low heat until all the water has been absorbed, about 7 minutes. Remove the rice mixture from the heat and toss in the oregano, 11⁄4 cups of the fennel, and 3 tablespoons of the remaining olive oil. Adjust the seasoning with additional salt and pepper and let the mixture cool. 3. Fill each artichoke with about 2.5 to 3 scant tablespoons of the mixture, patting it down tightly. 4. Pour the remaining olive oil in the bottom of a medium pot and place the artichokes upright so that they fit snugly against each other without falling over. Add enough water to come almost to the top of the artichokes. Cut a sheet of wax paper or parchment to the circumference of the pot and fit it snugly over the artichokes. Place a plate on top to keep the artichokes from moving. Cover the pot and simmer the artichokes until they and the rice are tender, 25 to 30 minutes. Just before serving, sprinkle with the remaining V4 cup of fennel leaves. Serve warm or at room temperature. Note: If wild fennel is unavailable, use only 2 large onions and combine with 1 cup chopped fennel bulb. 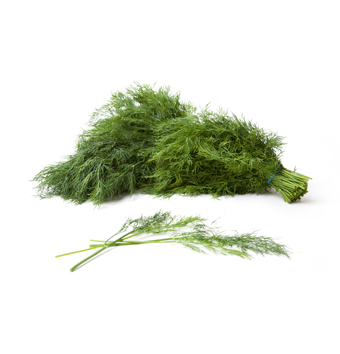 To enhance the fennel flavor even more, add 3 tablespoons ouzo to the mixture after sauteing.